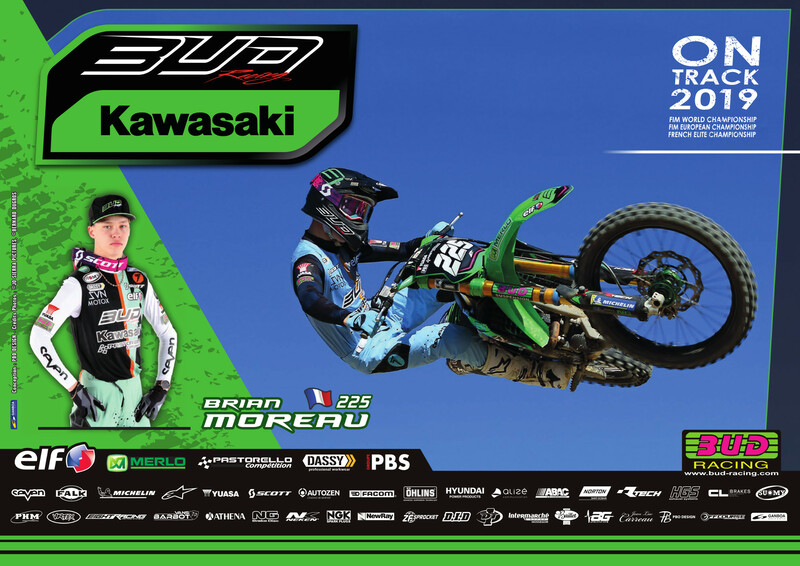 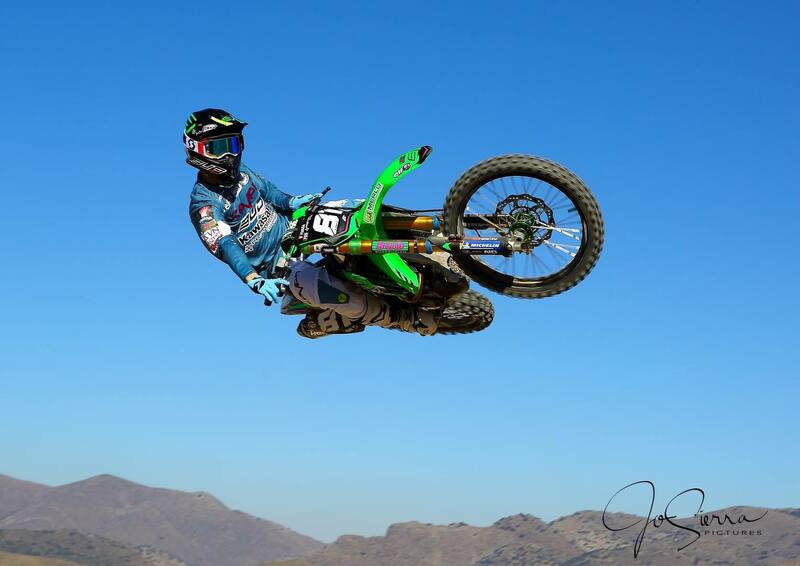 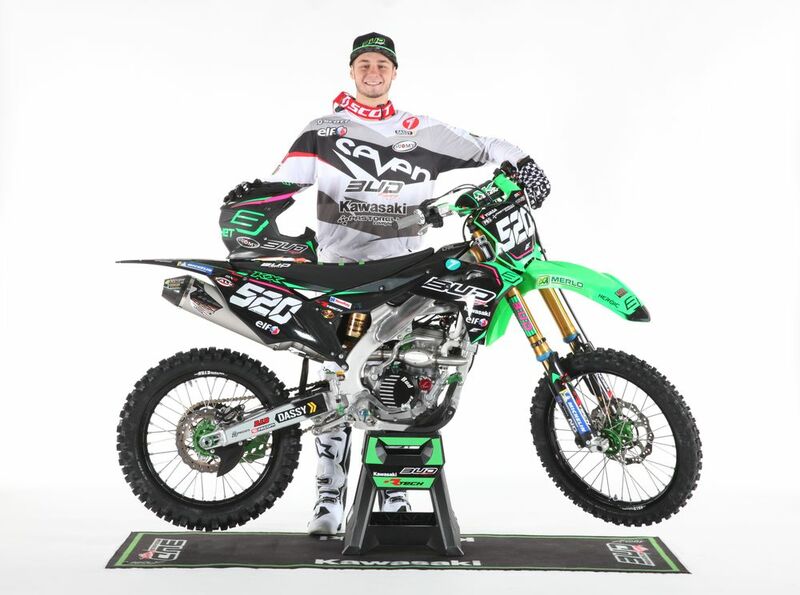 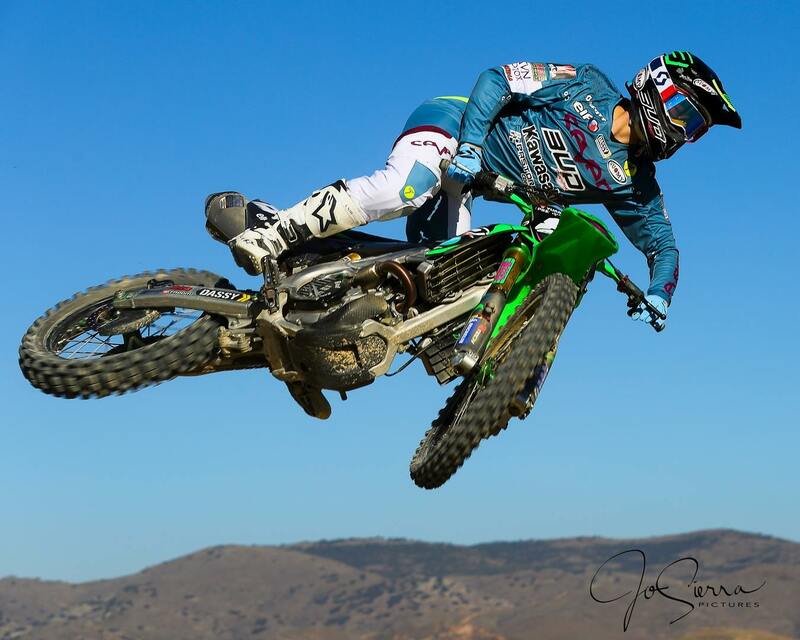 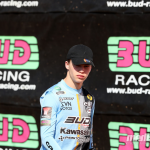 Team Bud Racing Kawasaki was involved this weekend in its second pre season event of the season, just one-week prior the opening round of the World Championship in Argentina and once more Brian Moreau was one of the fastest MX2 rider on track. 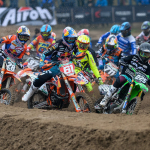 After Mantova two weeks ago, Lacapelle International was the next stop for the team who unfortunately could only line up Brian Moreau as Brian Hsu suffers a lower back injury while practicing earlier last week. 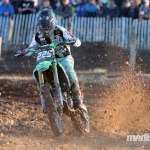 For his second race of the season Brian Moreau showed again tremendous speed all day to lap within half a second of pole during MX2 qualification. 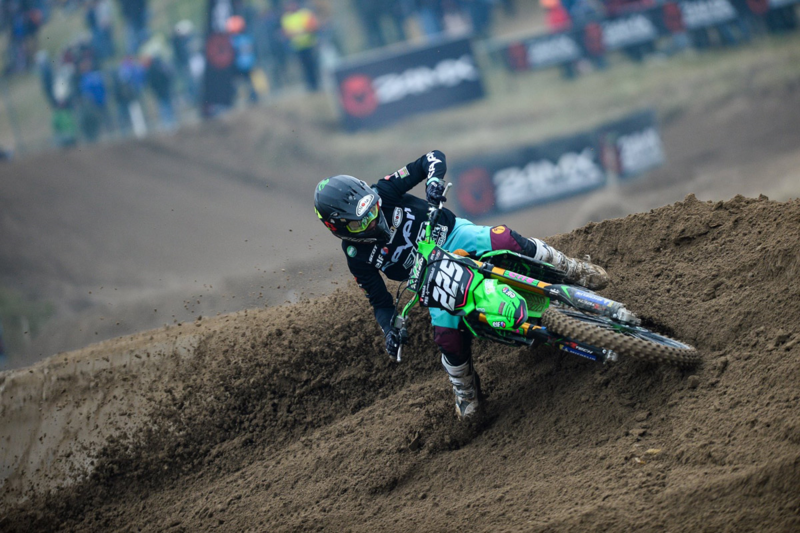 Coming from the sixth to the fourth position in the opening MX2 race, Brian was fighting for a podium result but lost his chances and three positions during the second part of the race. 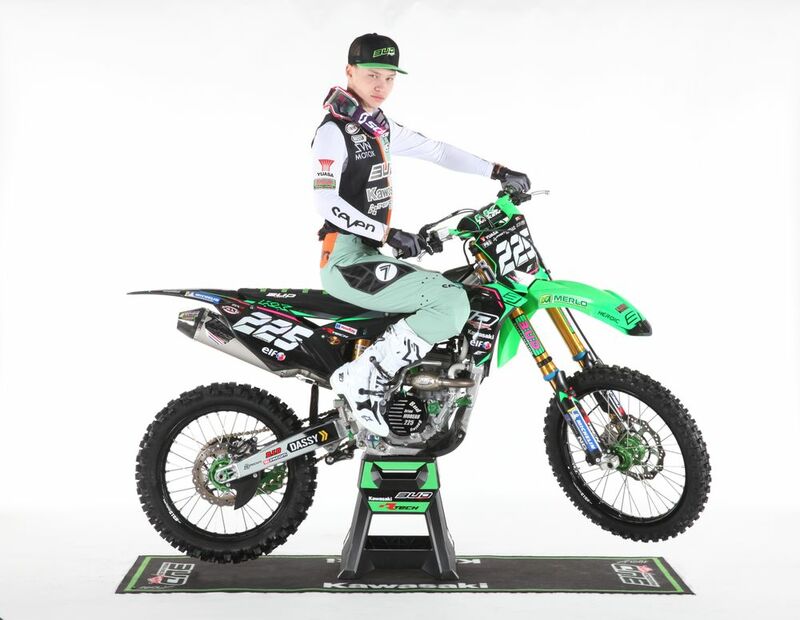 He got a great start in race 2 and pressurised the eventual double winner during the early laps, finally losing his rhythm after several attacks on Watson, fourth strongest MX2 rider last season in the World Championship. 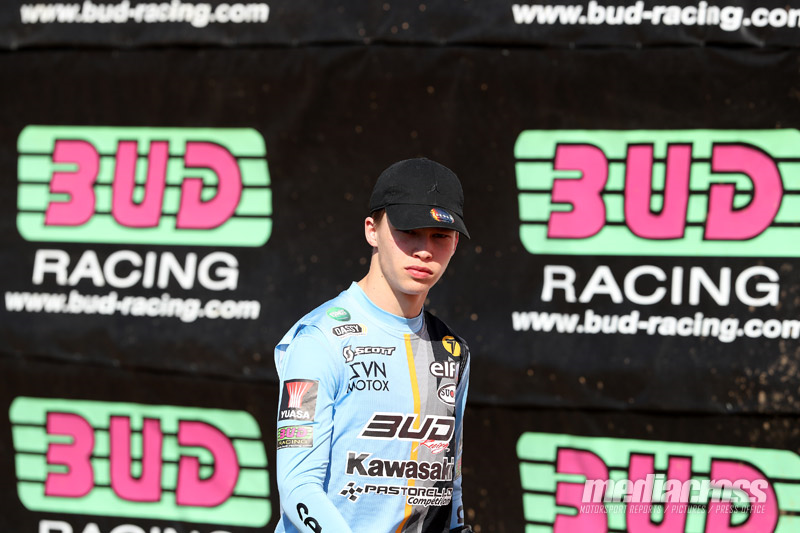 The teenager set the second fastest time in this race, but his relative inexperience of world racing came into play during the later stages of each race as he tensed up and slowed to finish sixth. 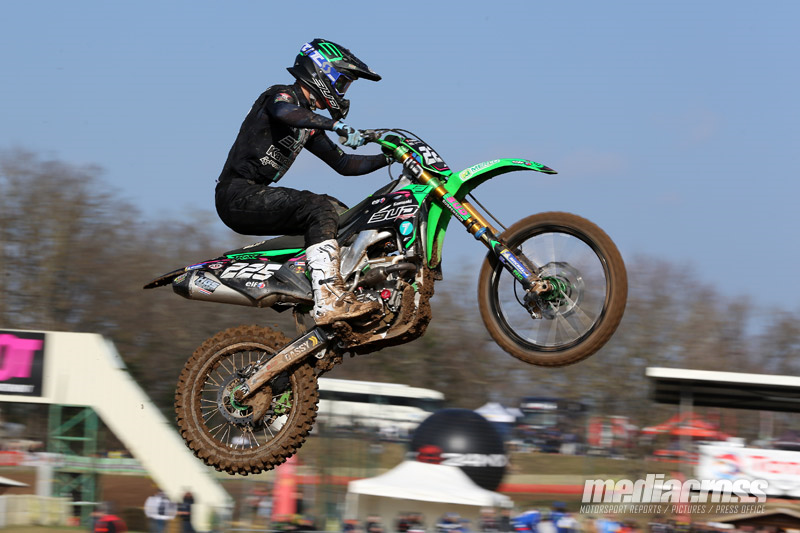 But Brian can fly confidently to the opening GP secure in the knowledge that he has the speed to succeed. 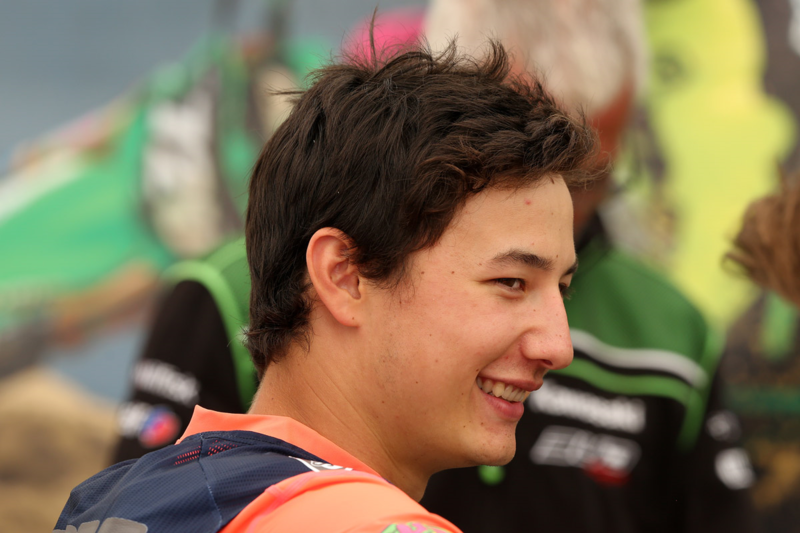 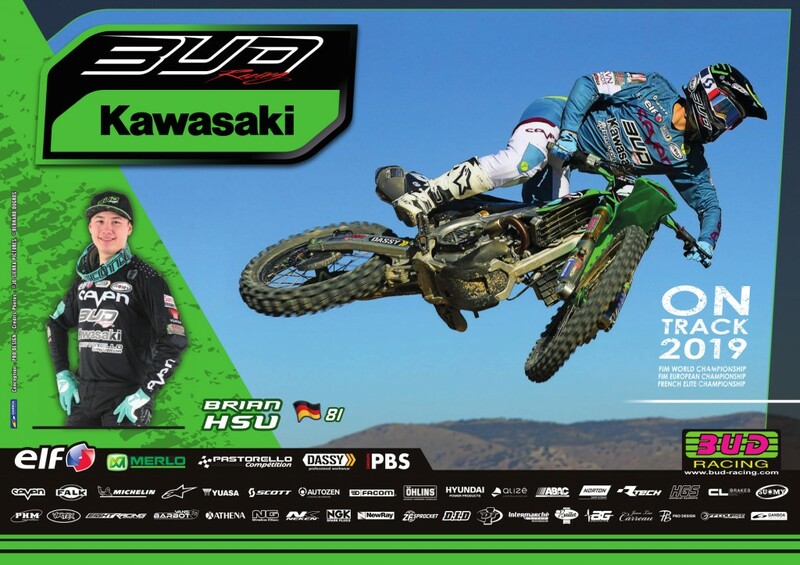 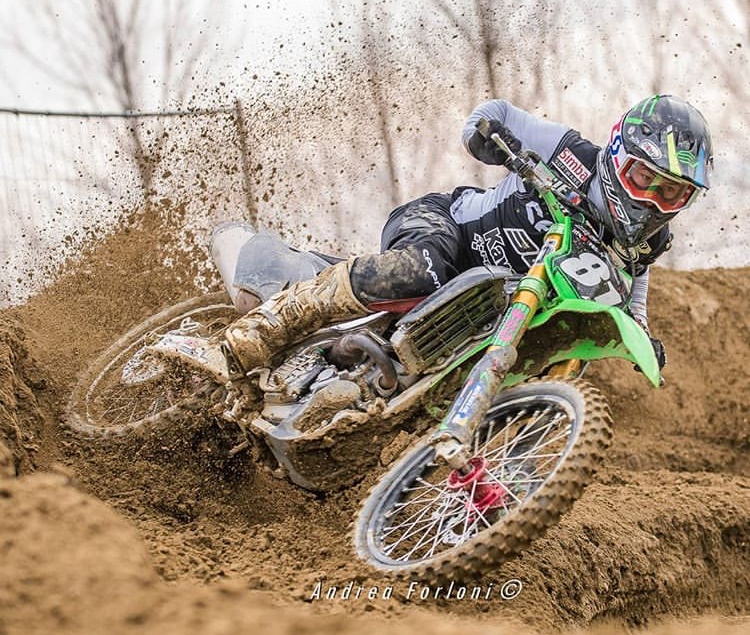 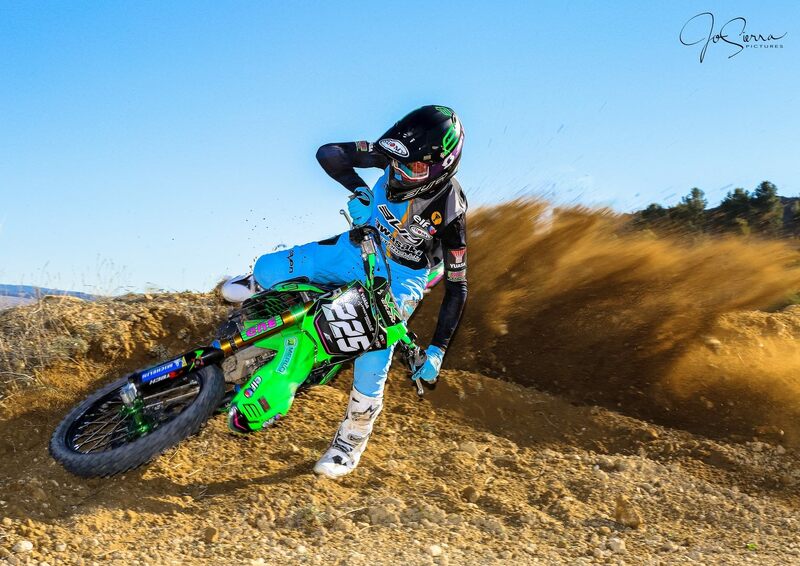 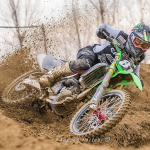 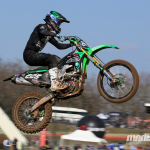 Team Bud Racing Kawasaki was in Mantova this weekend, involved in the final round of the” Internazionali d’Italia”. This first race of the season was a good one for Brian Moreau who scores a second place in the MX2 class, while Brian Hsu was back racing after a very long break. 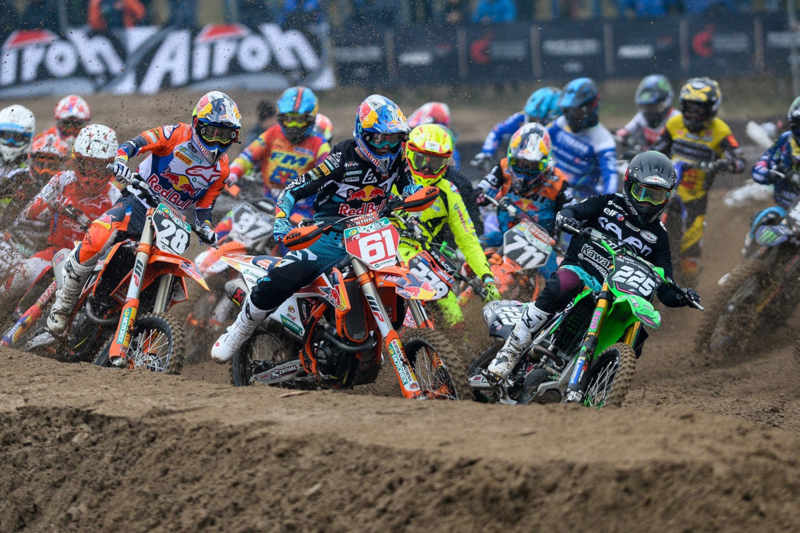 After a long and busy winter for the mechanics and the riders who prepare the comeback of the team in the World Championship, this first race was a good opportunity for everyone to race against some of their future rivals before the GP of Argentina. 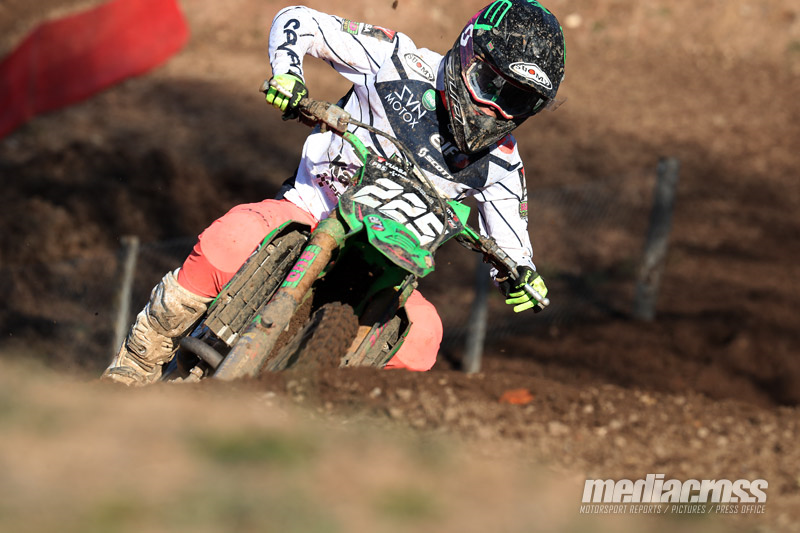 One race per class (MX1 and MX2) and a Super Final was the program of the day, and only forty of the 80 riders involved in the MX2 class qualified for the race; both Brian Moreau and Brian Hsu qualified easily in their group with a fourth position for BM225 and a ninth one for BH81. 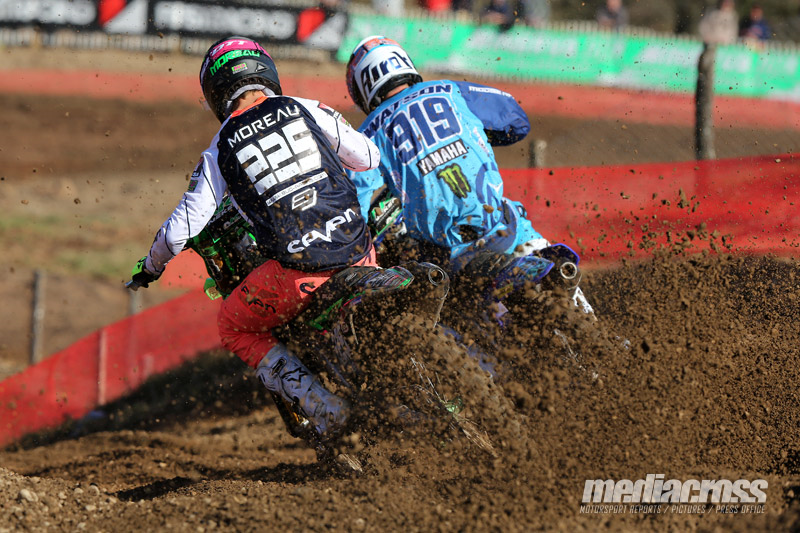 Brian Moreau got an impressive holeshot in the MX2 race, and led the pack during seven laps; only one guy passed him during the race, the reigning MX2 World Champion. 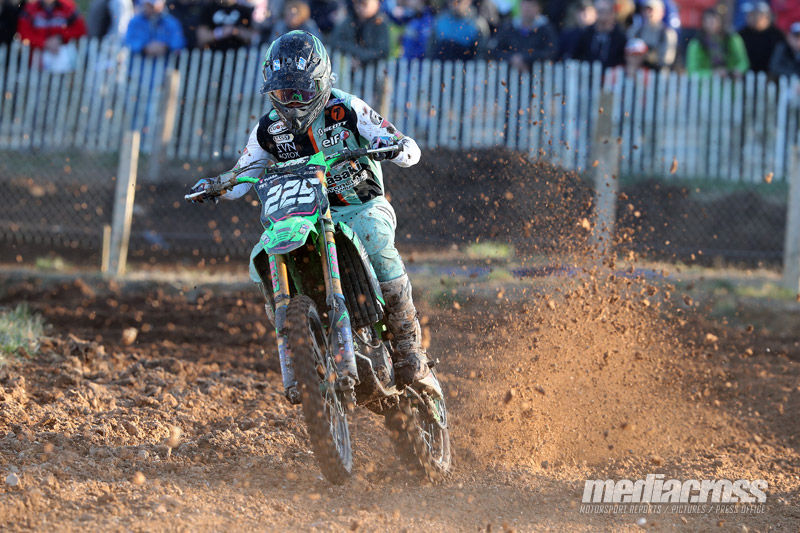 Second of this race Brian had a good gate pick for the super final, but he was involved in a huge pile up after the start and was forced to retire with a damaged bike. 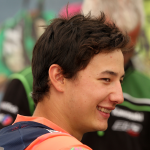 The race was tougher for Brian Hsu who was back racing after one year off; Brian posted a decent lap time in the practice session but missed a good start and never had a good feeling with the track. 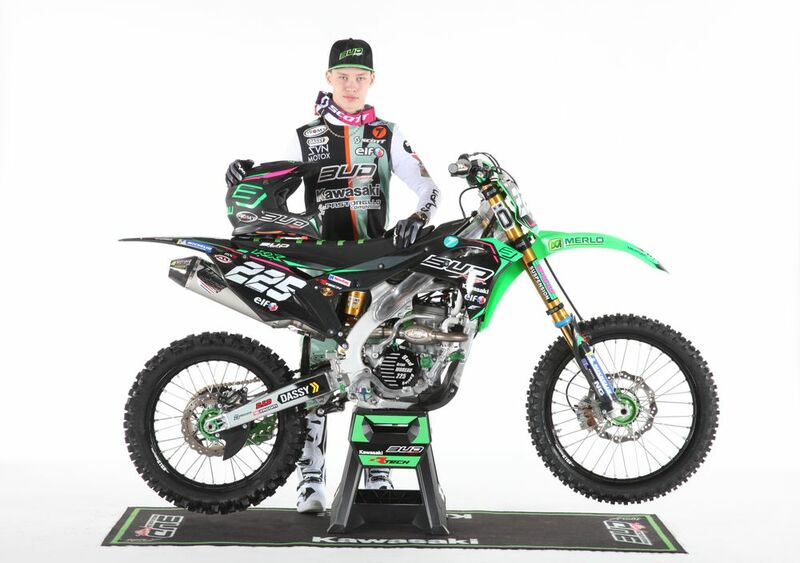 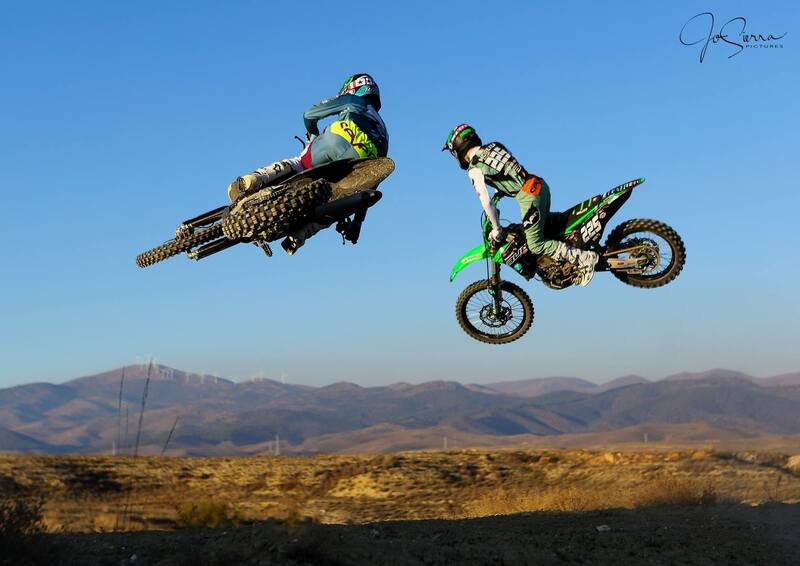 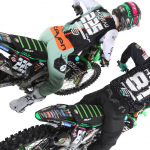 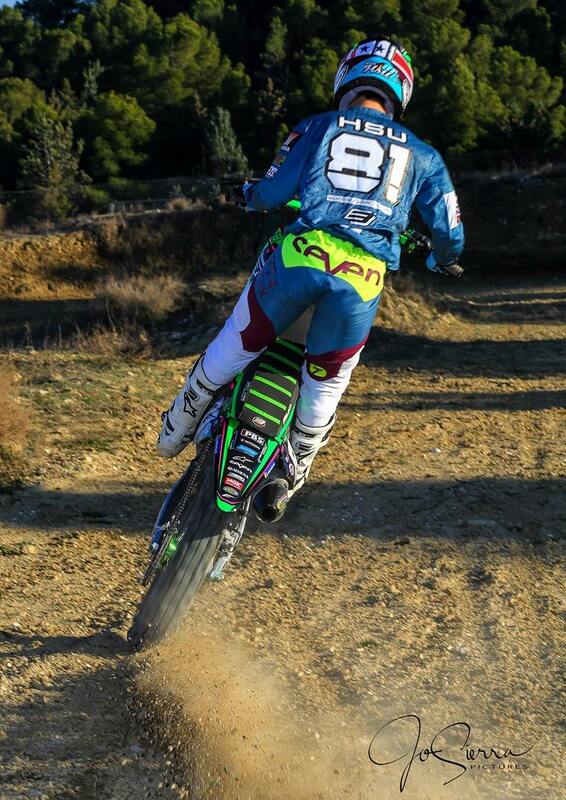 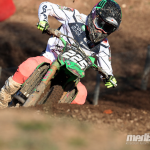 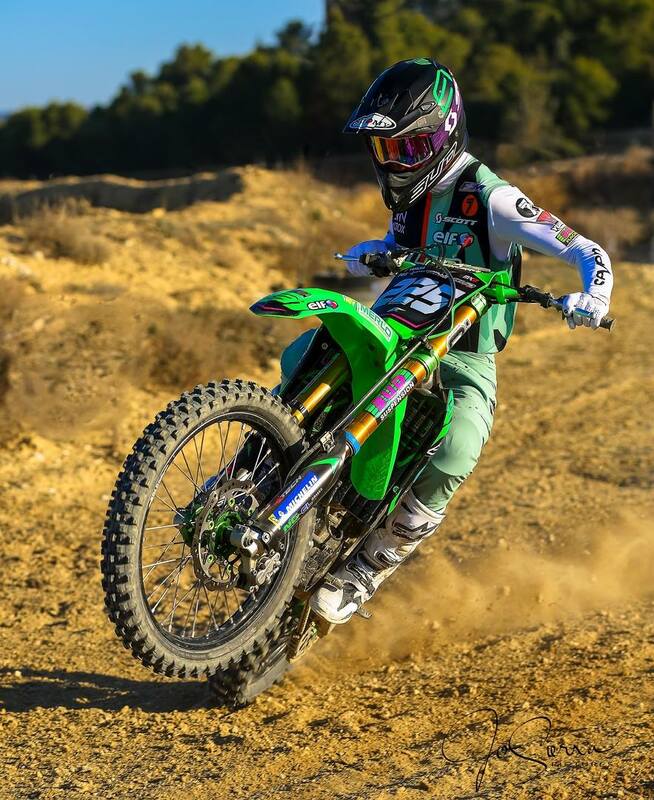 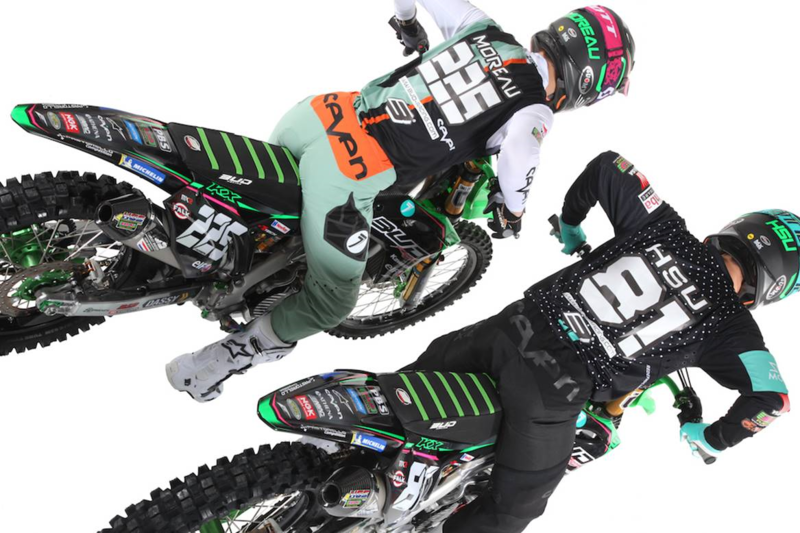 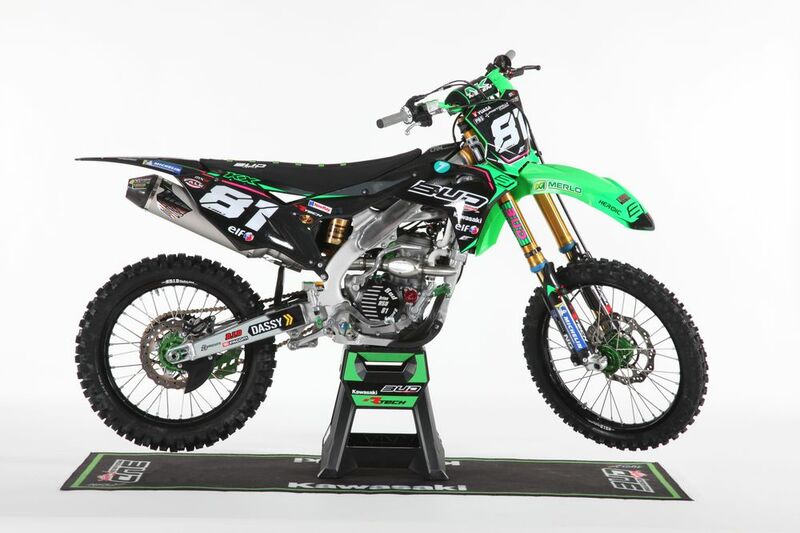 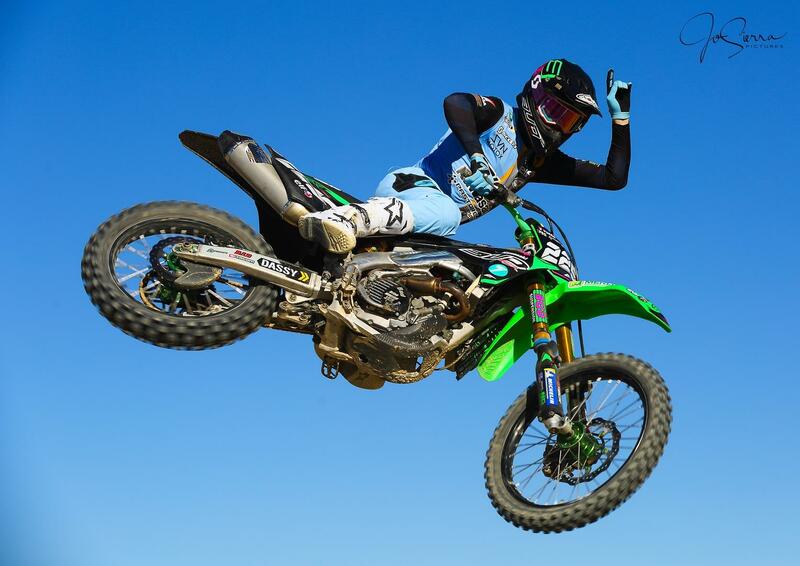 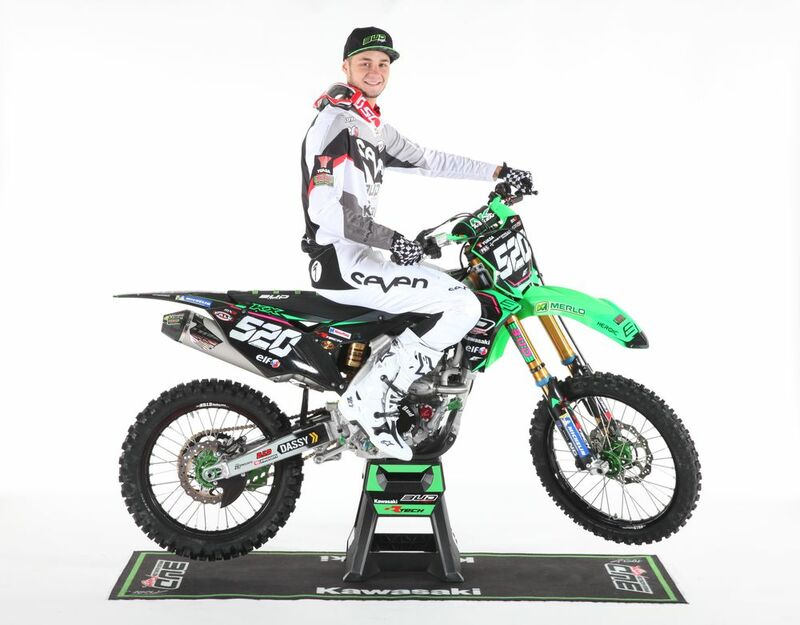 An interesting and promising season will see Team BUD Racing Kawasaki back in the MX2 World championship, the Team based in Hossegor France continue on his usual spirit to bring young prospects to the top world motocross level. 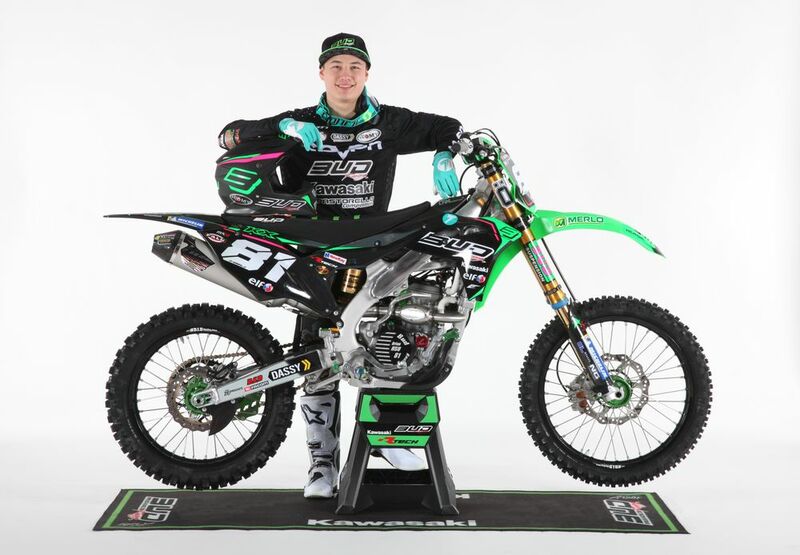 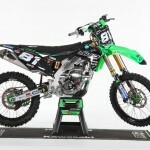 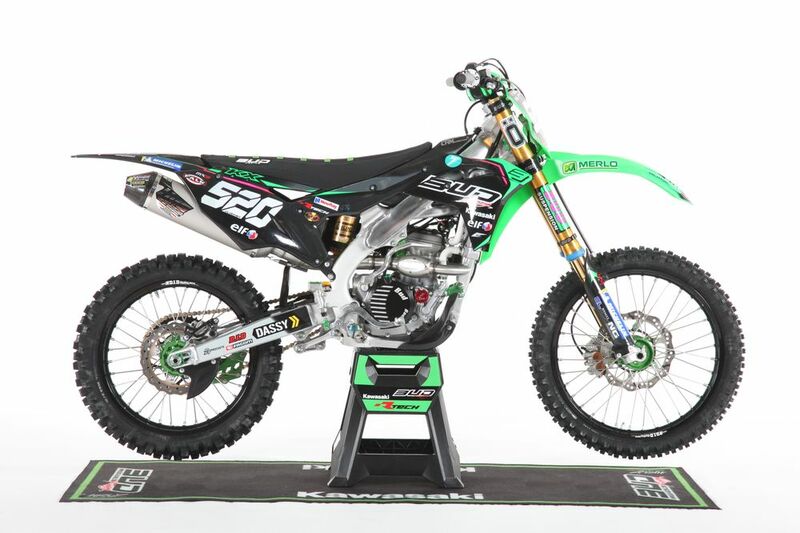 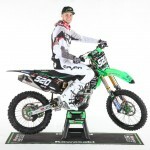 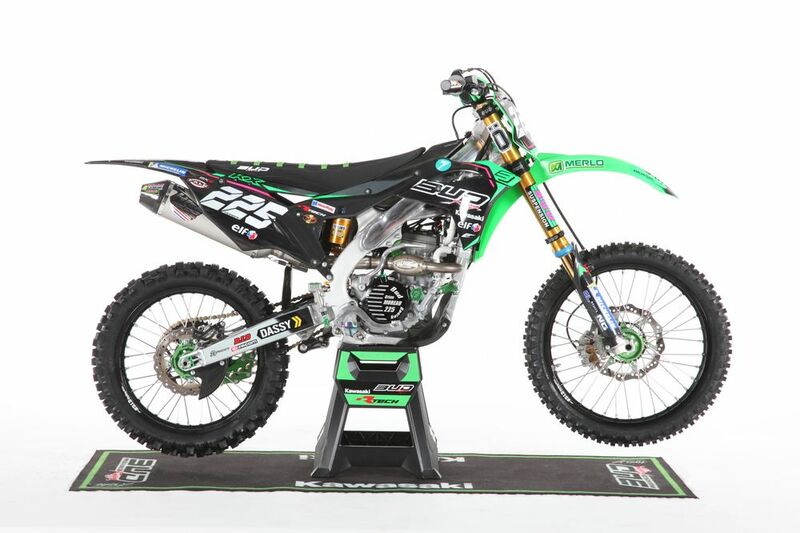 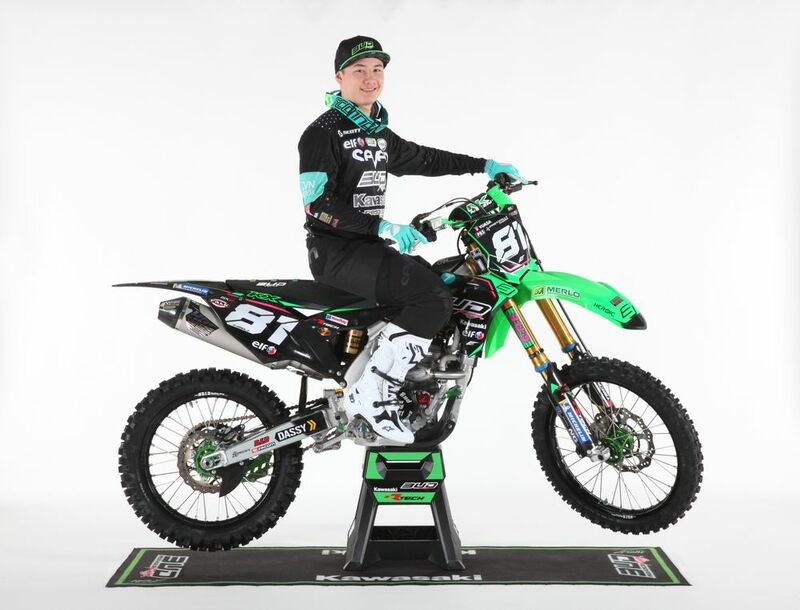 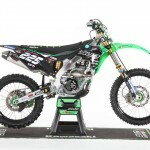 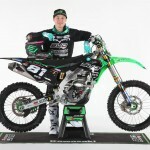 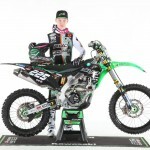 For the 2019 season, both Brian, MOREAU and HSU will race the full world motocross MX2 championship and the French Elite MX series aboard the BUD 250 KXF, and a newcomer will join them with Jimmy CLOCHET, already winner of two motos in the french 250 Elite series, he will be in charge to represent the Team colors in the European EMX250 championship and French championships (Elite 450 & National MX1).